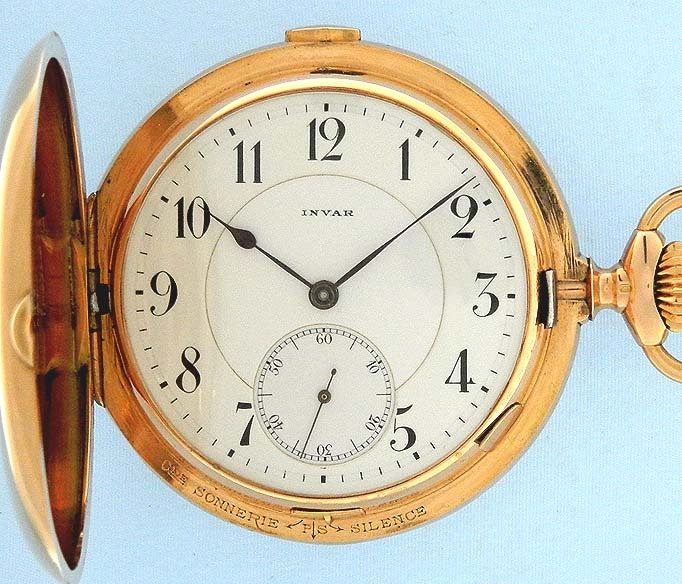 Fine and rare Swiss 14K pink gold Invar grand and petit sonnerie minute repeating clockwatch circa 1909. Plain polish case (slightest signs of careful use) with repeater trip button in the band. Gold dust cover in addition to glazed observation cover. White enamel dial with bold numbers and blued steel hands. Selection lever at 6:00 full strike, half strike, and silence. 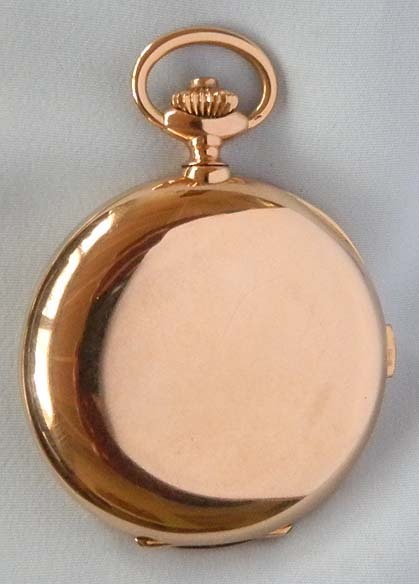 Wonderful nickel approximately 36 jewel movement. 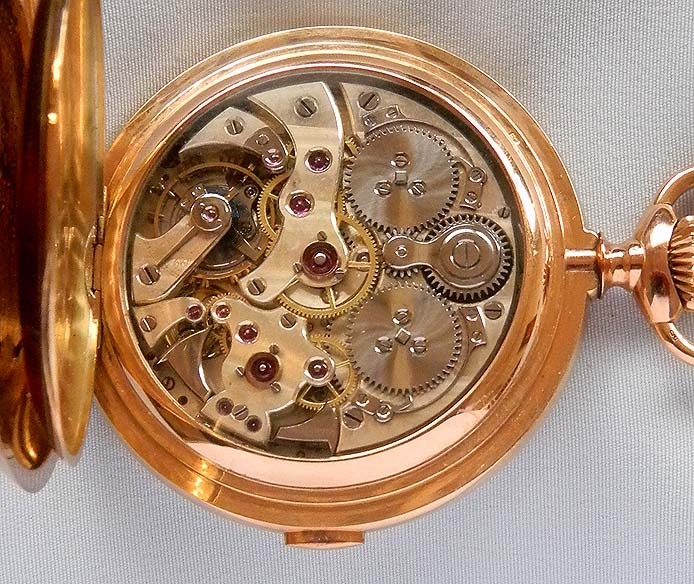 An extremely complicated watch in particularly fine condition. With the selection lever in the Gde Sonnerie position this watch automatically chimes the hours and quarters every 15 minutes. This means that 1:15 has a different chime than 2:15. 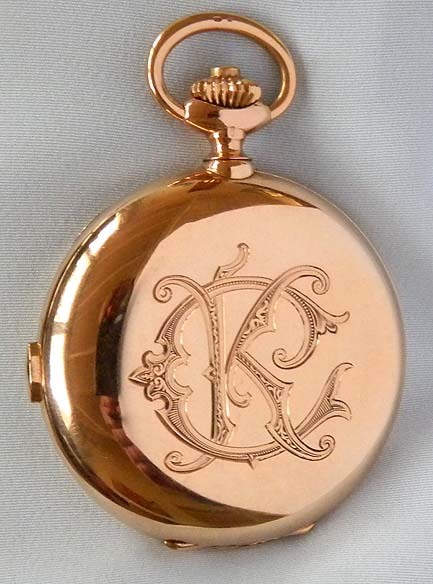 In the PS position the watch automatically chimes the quarters without the hours. Silence means the watch does not strike automatically. 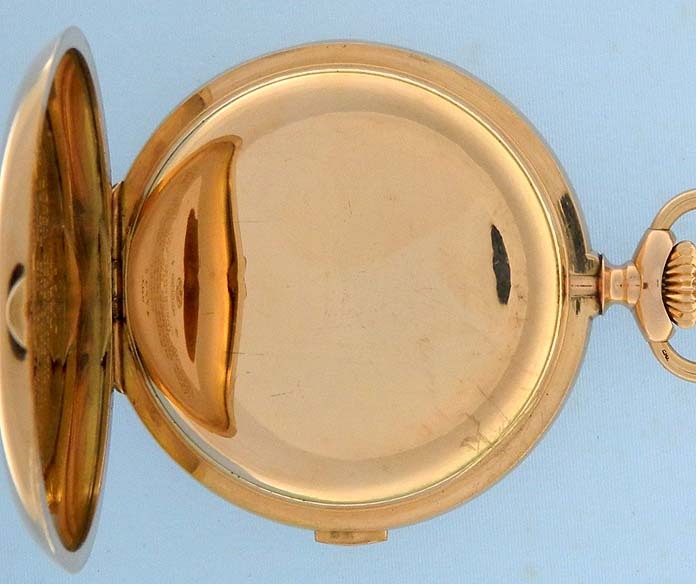 When the button in the band is depressed, this watch chimes the hours, quarters and minutes with a lovely chime. 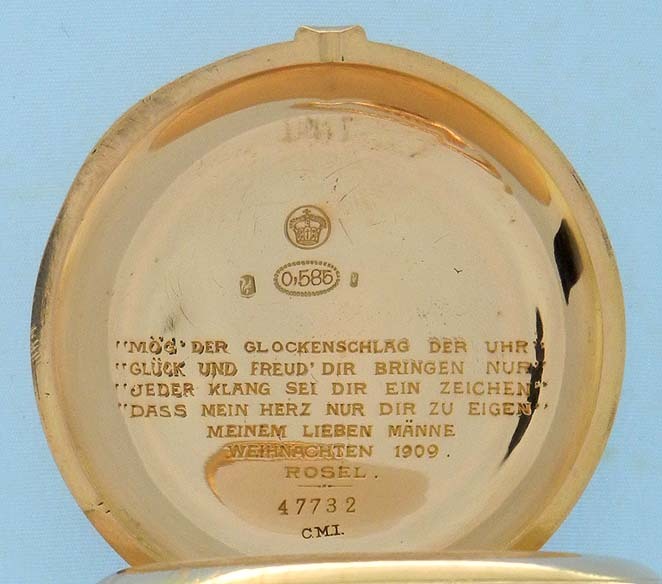 This watch has an unusual winding system which we have not see previously. Pushed in the stem winds one train and the stem must be pulled out to wind the other train.